The Internet and Florida Long-Arm Jurisdiction under s. 48.193 Fla. Stat. AMERICAN ROYAL ARTS CORP., a foreign corporation, Appellee. *248 Daniel J. Brams of Silver, Bass & Brams, P.A., West Palm Beach, for appellant. June Galkoski Hoffman of Fowler White Burnett P.A., Fort Lauderdale, for appellee. Headnote Citing References After a great deal of judicial labor was focused on this case, but before this opinion was released, the Appellant filed a notice of voluntary dismissal. Because we believe that this case involves an issue of great public importance, we have decided not to dismiss this case and instead to release an opinion explaining our decision. We consider the issue presented in this case—the role the internet plays in a specific and general jurisdiction analysis—to be of great public importance because it involves a confusing area of the law that is mainly scattered across the federal courts and has not been addressed head-on by a Florida court. Further, because of the ever-increasing role of technology and the internet in commerce, we believe that issues relating to jurisdiction and the internet will only increase over time. Therefore, we believe it is important to address this at the earliest opportunity to provide uniformity and guidance to Florida courts and would-be litigants. We recognize that retaining jurisdiction over an appeal after it has been voluntarily dismissed is rare, but it has occurred under appropriate circumstances.See State v. Schopp, 653 So.2d 1016, 1018 (Fla.1995) (holding that an appellate court has the discretion not to dismiss an appeal after a notice of voluntary dismissal has been filed, which is “particularly true where … the case presents a question of public importance and substantial judicial labor has been expended ….”); see, e.g., Bell v. U.S.B. Acquisition Co., 734 So.2d 403, 404 n. 1 (Fla.1999) (“As we have done in the *249 past, we exercise our discretion to retain jurisdiction in this case because we consider this issue to be of great public importance.”); Brown v. McNeil, 22 So.3d 741, 742 (Fla. 1st DCA 2009)(declining to dismiss an appeal after a voluntary dismissal); Washington v. State, 982 So.2d 1207, 1208 (Fla. 5th DCA 2008) (“A reviewing court has discretion to retain jurisdiction and proceed with the appeal even where a notice of voluntary dismissal is timely filed.”); Hammerl v. State, 779 So.2d 410, 411 n. 1 (Fla. 2d DCA 2000) (“A district court has the discretion when a timely notice of voluntary dismissal is filed to reject the appellant’s request to dismiss the appeal and to retain jurisdiction and proceed with the appeal.”). This appeal arises from the trial court’s denial of the defendant’s motion to dismiss based on alleged lack of personal jurisdiction. The defendant below, Frank Caiazzo, operates a sole proprietorship known as “Beatles Autographs.” Caiazzo specializes in buying, selling, and authenticating Beatles memorabilia. The plaintiff below, American Royal Arts Corp. (“ARA”), a seller of rock-n-roll memorabilia that has several galleries in the South Florida area, entered into an agreement with one of its customers to sell a Beatles Revolver album FN1 signed by all four members of the band for $14,900. The customer, in turn, sent a computerized scan of the album cover to an auction house, Cooper Owen, in England for an evaluation. The auction house then forwarded the scan to Caiazzo for his opinion. Caiazzo opined to Cooper Owen that the signatures on the album were forgeries from a southern California forgery ring. As a result, the customer informed ARA that he would not be purchasing the album. FN1. Released in 1966, Revolver contains such ground-breaking Beatles songs as “Eleanor Rigby” and “Yellow Submarine.” Although the album was initially missing several tracks on its U.S. release, in 1987 the uncut version of Revolver was released on compact disc. The Beatles: Album Guide,Rolling Stone, http:// www. rollingstone. com/ music/ artists/ the- beatles/ albumguide. This ultimately led to ARA’s suit against Caiazzo for (I) violation of Florida’s Deceptive and Unfair Trade Practices Act (“FDUTPA”), (II) defamation, and (III) unlawful restraint of trade under Florida’s unfair competition statute. 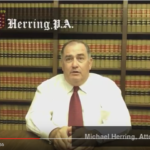 Caiazzo filed a motion to dismiss the case alleging, among other issues, that the state of Florida did not have personal jurisdiction over ARA’s claims against him. Judge Jeffrey Winikoff permitted limited discovery only as to the issue of jurisdiction. He also indicated that, following the limited discovery process, an evidentiary hearing would be necessary. Judge Jack Cox, Judge Winikoff’s civil division successor, conducted the hearing after which he denied Caiazzo’s motion to dismiss, finding both specific and general personal jurisdiction over Caiazzo. The sole issue on this appeal is whether personal jurisdiction (specific, general, or both) exists over Caiazzo. Because this case involves multiple jurisdictional issues, including both specific and general jurisdiction, constitutional due process constraints, and the role that the internet plays, a thorough review of jurisdictional jurisprudence is first in order. Headnote Citing References In the seminal case of Venetian Salami Co. v. Parthenais, 554 So.2d 499, 502 (Fla.1989), the Florida Supreme Court set out a two-step process to determine if personal jurisdiction exists over a nonresident*250 defendant. A court must first determine whether sufficient facts have been alleged to bring the action within the ambit of Florida’s long-arm statute. FN2 If the statute applies, the court must then determine whether there are sufficient “minimum contacts” on the part of the defendant to satisfy due process requirements. FN2. A long-arm statute is a statutory device by which a state obtains jurisdiction over certain causes of action involving parties or events (or both) outside that state. It is called a long-arm statute because it allows a state court to reach parties located outside the state and even possibly for events which occurred outside the state. In essence, it allows the state to reach its “long arm” outside the state. Headnote Citing References Personal jurisdiction can exist in two forms: “specific,” in which the alleged activities or actions of the defendant are directly connected to the forum state, and “general,” in which the defendant’s connection with the forum state is so substantial that no specific or enumerated relationship between the alleged wrongful actions and the state is necessary. A. 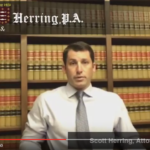 The First Step: Within the Ambit of Florida’s Long–Arm Statute? As the first step in a two-step process, it must initially be determined if sufficient facts exist to confer either specific jurisdiction or general jurisdiction pursuant to Florida’s long-arm statute. Any person, whether or not a citizen or resident of this state, who personally or through an agent does any of the acts enumerated in this subsection thereby submits himself or herself … to the jurisdiction of the courts of this state for any cause of action arising from the doing of any of the following acts. § 48.193(1), Fla. Stat. (2007). Following this language is an enumerated list of acts that allow Florida courts to exercise specific personal jurisdiction over a defendant. For purposes of this appeal, however, only two of the enumerated acts are relevant: “[o]perating, conducting, engaging in, or carrying on a business or business venture in this state or having an office or agency in this state,” and “[c]omitting a tortious act within this state.” § 48.193(1)(a) & (b), Fla. Stats., respectively. A defendant who is engaged in substantial and not isolated activity within this state, whether such activity is wholly interstate, intrastate, or otherwise, is subject to the jurisdiction of the courts of this state, whether or not the claim arises from that activity. § 48.193(2), Fla. Stat. (2007). This court and other district courts have held “substantial and not isolated” to mean “continuous and systematic general business contact” with Florida. See, e.g., Woods v. Nova Cos. Belize Ltd., 739 So.2d 617, 620 (Fla. 4th DCA 1999); Am. Overseas Marine Corp. v. Patterson,632 So.2d 1124, 1128 (Fla. 1st DCA 1994). In the instant case, ARA alleged both specific and general jurisdiction over Caiazzo. Headnote Citing References The second step, the due process analysis, is “controlled by United States Supreme Court precedent interpreting the Due Process Clause [of the United States Constitution] and imposes a more restrictive*251 requirement” than the long-arm statute’s broad grant of jurisdiction. Internet Solutions, 39 So.3d at 1207 (quoting Wendt v. Horowitz, 822 So.2d 1252, 1257 (Fla.2002)). Additionally—and particularly germane to this appeal—the required due process analysis differs depending on whether it is (1) specific or (2) general jurisdiction being asserted. Headnote Citing References Headnote Citing References The United States Supreme Court, in a handful of leading cases, laid out the proper due process standard for cases involving specific jurisdiction. First, in the interest of preserving “traditional notions of fair play and substantial justice” a state may exercise specific jurisdiction only over a defendant who has certain “minimum contacts” with the state. Int’l Shoe Co. v. Washington, 326 U.S. 310, 316, 66 S.Ct. 154, 90 L.Ed. 95 (1945). This so-called “minimum contacts” rule is the “constitutional touchstone” for such jurisdiction. Burger King Corp. v. Rudzewicz, 471 U.S. 462, 474, 105 S.Ct. 2174, 85 L.Ed.2d 528 (1985). The Court later clarified that the notion of minimum contacts encompasses only situations in which the defendant has “purposefully avail[ed] [himself or herself] of the privilege of conducting activities within the forum State, thus invoking the benefits and protections of its laws.” Hanson v. Denckla, 357 U.S. 235, 253, 78 S.Ct. 1228, 2 L.Ed.2d 1283 (1958); see also Burger King, 471 U.S. at 474–75, 105 S.Ct. 2174; World–Wide Volkswagen Corp. v. Woodson, 444 U.S. 286, 297, 100 S.Ct. 559, 62 L.Ed.2d 490 (1980). Finally, the Court has stated that simply being able to foresee a product’s arrival in the forum state will never by itself establish minimum contacts over the seller of that product. World–Wide Volkswagen, 444 U.S. at 297, 100 S.Ct. 580. Instead, foreseeability is relevant only when “the defendant’s conduct and connection with the forum State are such that he should reasonably anticipate being haled into court there.” Id. This is because an entity that purposefully avails itself of the privilege of conducting activities within the forum state “has clear notice that it is subject to suit there, and can act to alleviate the risk of burdensome litigation by procuring insurance, passing the expected costs on to customers, or, if the risks are too great, severing its connection with the State.” Id. Unlike specific jurisdiction, the United States Supreme Court has rarely addressed the constitutional constraints on a court’s exercising general jurisdiction.FN3 In International Shoe, a specific jurisdiction case, the Court acknowledged that in some instances in which a corporation has enough significant contacts with the forum state, jurisdiction could exist over any act, even those unrelated to its activity within the state. Int’l Shoe, 326 U.S. at 318, 66 S.Ct. 154 (“[T]here have been instances in which the continuous corporate operations within a state were thought so substantial and of such a nature as to justify suit against it on causes of action arising from dealings entirely distinct from those activities.”). Seven years later, in Perkins v. Benguet Consolidated Mining Co., 342 U.S. 437, 72 S.Ct. 413, 96 L.Ed. 485 (1952), the United States Supreme Court tackled its stance pertaining to general jurisdiction. The Court avoided any hard line test and instead opted for a vague standard in which courts look to determine whether *252 the activities of the defendant are “sufficiently substantial and of such a nature as to permit [the forum state] to entertain a cause of action against a foreign corporation, where the cause of action arose from activities entirely distinct from its activities in [that state].” Perkins, 342 U.S. at 447, 72 S.Ct. 413.